Having problems getting through some of the new traps? We offer the Flexitail - which allows the camera to negotiate multiple tight bends with ease. The Flexitail can be used with the T800 Forward-View camera or the T812 Pan & Tilt camera. 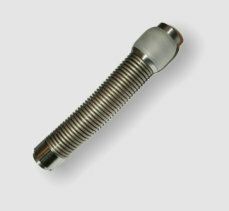 The Flexitail is simply fitted to the T804 Trogloprobe termination and the camera fitted to the other end. 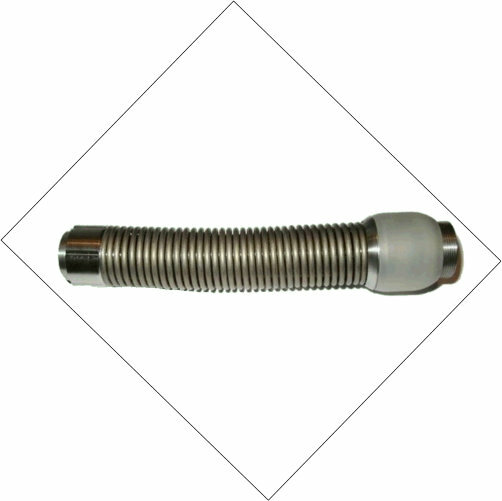 For security of the camera, the coiled Flexitail has two stainless-steel hawsers inside which stops the spring from being stretched, but allows the spring to follow complicated contours as found in some traps. Extent the capabilities of your T804 Trogloprobe system with the addition of the T710 1" camera and 20M (66 feet) of highly-flexible rod. This upgrade includes a smaller coiler cage that fits within the T804 coiler cage. 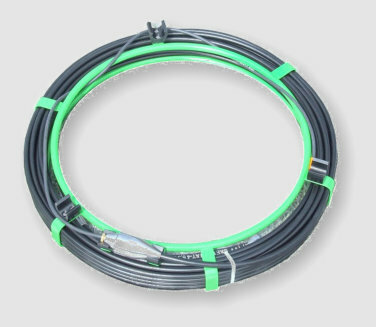 When a survey is required of small pipework, the T800 camera can be detached, and the free-end of the 20M rod can be connected to the termination. The 1" camera can now be passed through the rod-guide and the survey can begin. In some situations, the full 80M (262 feet) of rod can be utilised. The T710 1" camera upgrade includes the small coiler cage, the T710 camera, 20M (66 feet) of highly-flexible rod, ball-skid and all terminations. The T710 is the worlds most advanced 1" camera. We have utilised the very latest in CMOS sensor and LED technology to provide a camera that out-performs all 1" cameras and most larger cameras. The rod is a new Troglotech design. It has a high resin-content fibreglass core that provides both flexibility and strength, the outer is highly wear- resistant and low-friction. 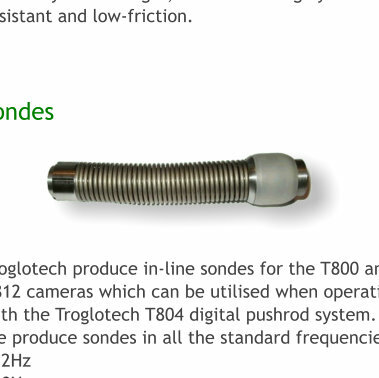 Troglotech produce in-line sondes for the T800 and T812 cameras which can be utilised when operating with the Troglotech T804 digital pushrod system. We produce sondes in all the standard frequencies: 512Hz 640Hz 8.192KHz 32.768KHz Our powerful sondes allow you to accurately and reliably locate your camera at depth. They are crystal-controlled and always give a powerful and precise signal to your requirements. Skid sets: We produce skid sets for our cameras, adaptors and sondes. Our design allows quick removal of the skids without the use of any tools. It also enables replacement of the individual brushes, which can be supplied in lengths suitable for use in 4" and 6" pipes. 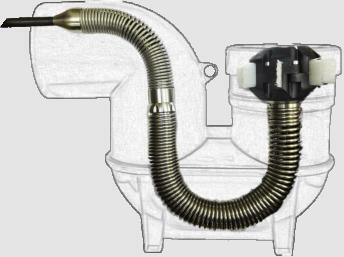 The Skids can be used without brushes for use in 3" pipe work. We also supply a wheeled - skid for the T812 camera for use in up to 12” pipework. This is adjustable for other pipework sizes. 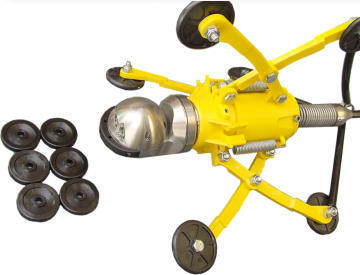 We supply the skid with two sets of wheels. To extend the operation time of the T804 system, the DC Lead can be used to both charge the power cell and operate the Trogloprobe system at the same time. 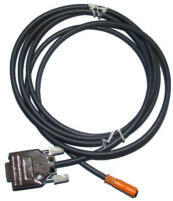 The DC Lead is 3 metres in length and has a cigar-lighter plug to connect to a vehicle with a 12V battery system. The DC lead is especially useful for recharging the Power Cell while travelling between inspections. Each hours charge while travelling can provide up to three hours operation time without the need for any generator or external power supply. If up to eight-hours operation duration is insufficient and a 12V supply is not available, an additional power cell can be supplied. 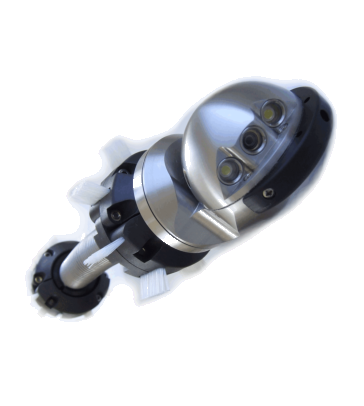 The Trogloprobe power cell uses advanced lithium ion cells to provide dependable energy and the machined-from-solid enclosure provides IP67 full waterproofing. 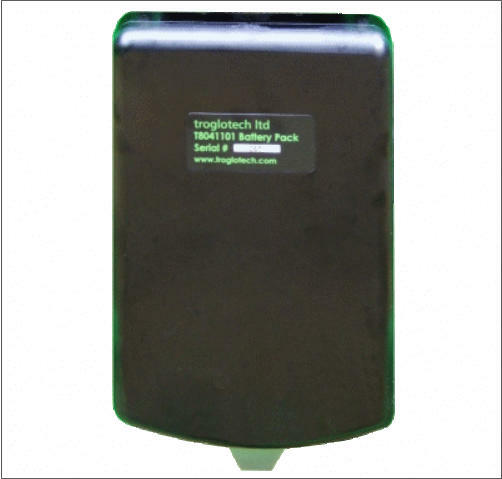 The T804 power cell is clipped to the system frame and can be released and replaced in seconds. There are no leads to connect, the power cell has a captive waterproof connector that automatically mates with the hub. 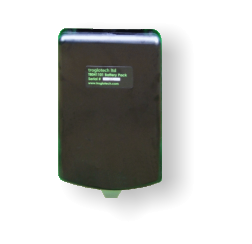 The power cell also contains battery-manager electronics to enable charging from a 12V DC source via the DC lead if mains electricity is not available. The Power Cell is exceptionally robust with an anodised finish. Our WiFi accessory adds a new dimension to the T804 system - direct connection to any smart device such as smart-phones and tablets. 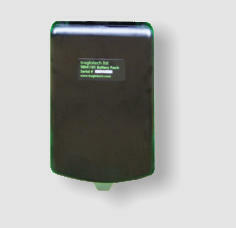 The Wifi system transmits high-definition video and on- screen data (such as rod counter, text, time & date). Our WiFi system means that video, stills and reports can be sent directly to the customer while still on-site. The same data can be saved to the Cloud so that the survey can be viewed from anywhere in the world (password security). This obviously saves a lot of work that is normally done at the office. 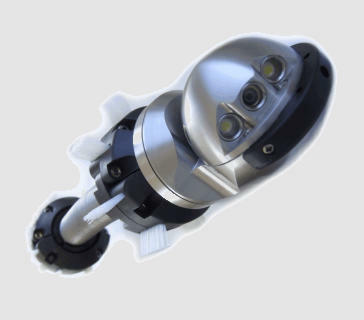 It also adds zoom on all our cameras and the ability to record the survey on the smart device This new accessory is available on all new systems, and can also be retrofitted to any T804 system of any age. The Wifi unit simply clips to the T804 frame and is connected the the Display Unit with a 0.6M cable. Obviously the system is completely waterproof to IP67 Flexible Tail for those awkward traps Having problems getting through some of the new traps? 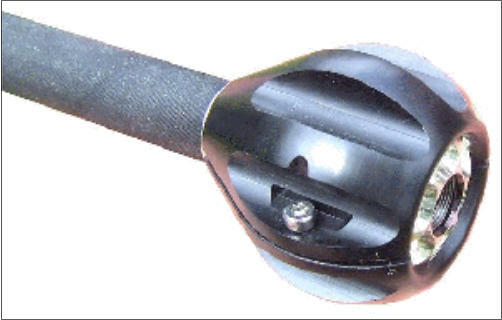 We offer the Flexitail - which allows the camera to negotiate multiple tight bends with ease. The Flexitail can be used with the T800 Forward- View camera or the T812 Pan & Tilt camera. The Flexitail is simply fitted to the T804 Trogloprobe termination and the camera fitted to the other end. 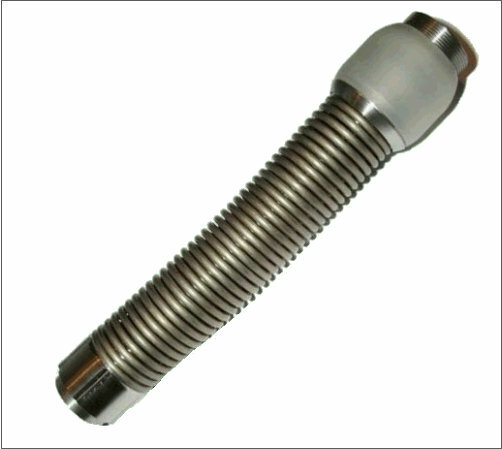 For security of the camera, the coiled Flexitail has two stainless-steel hawsers inside which stops the spring from being stretched, but allows the spring to follow complicated contours as found in some traps. 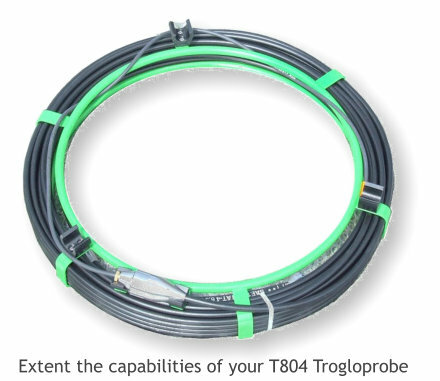 Extent the capabilities of your T804 Trogloprobe system with the addition of the T710 1" camera and 20M (66 feet) of highly-flexible rod. This upgrade includes a smaller coiler cage that fits within the T804 coiler cage. 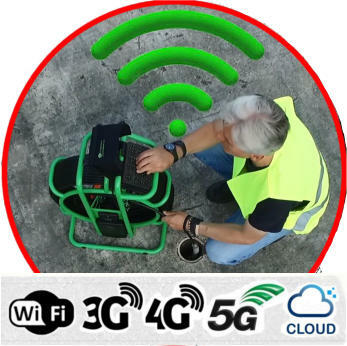 When a survey is required of small pipework, the T800 camera can be detached, and the free-end of the 20M rod can be connected to the termination. The 1" camera can now be passed through the rod-guide and the survey can begin. In some situations, the full 80M (262 feet) of rod can be utilised. The T710 1" camera upgrade includes the small coiler cage, the T710 camera, 20M (66 feet) of highly-flexible rod, ball-skid and all terminations. The T710 is the worlds most advanced 1" camera. We have utilised the very latest in CMOS sensor and LED technology to provide a camera that out- performs all 1" cameras and most larger cameras. The rod is a new Troglotech design. It has a high resin-content fibreglass core that provides both flexibility and strength, the outer is highly wear- resistant and low-friction. We produce skid sets for our cameras, adaptors and sondes. Our design allows quick removal of the skids without the use of any tools. 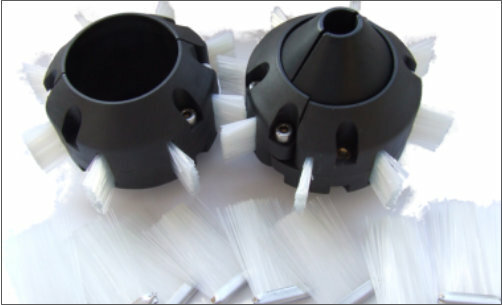 It also enables replacement of the individual brushes, which can be supplied in lengths suitable for use in 4" and 6" pipes. 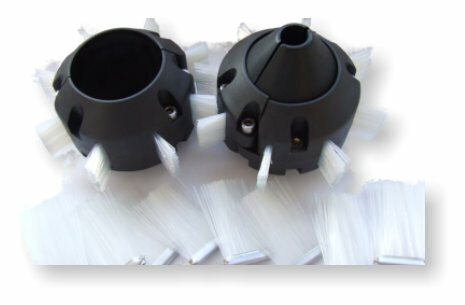 The Skids can be used without brushes for use in 3" pipe work. We also supply a wheeled - skid for the T812 camera for use in up to 12” pipework. This is adjustable for other pipework sizes. We supply the skid with two sets of wheels.